Some users don't see the default images when they create a new newsletter after installation. Your folder permissions aren't set properly on your server. MailPoet can't add the images in its destination folder. You'll need to have FTP access to your server. 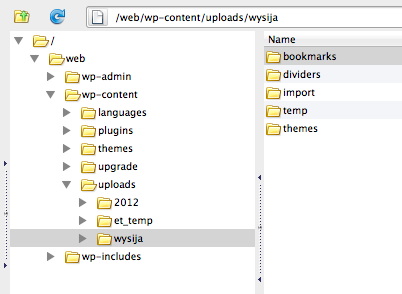 You'll also need to change folder permissions as described in the WordPress Codex (documentation). Open your FTP client and navigate to the folder /wp-content/uploads/wysija/. There should be a folder named themes. Change this folder's permissions to 775. In your WordPress Dashboard, go to the Plugins page. Deactivate and delete MailPoet. Don't worry, you won't lose any data, as it's all stored in your database. Install MailPoet again and activate it. 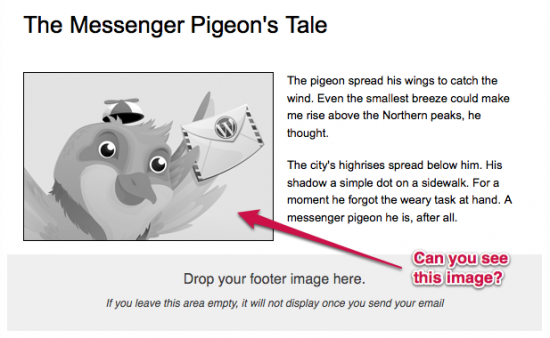 Create a new newsletter to see if the images show up. If it doesn't work, create a ticket if you're a Premium user or else post a message on the WordPress forum.